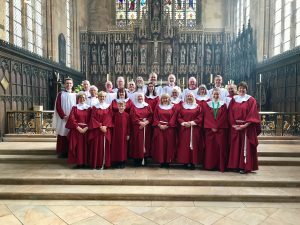 The traditions of English choral music have been firmly rooted in the history St Botolph’s Church over many centuries. This tradition is still very much alive today with choral music playing an essential role in the spiritual life of the parish. 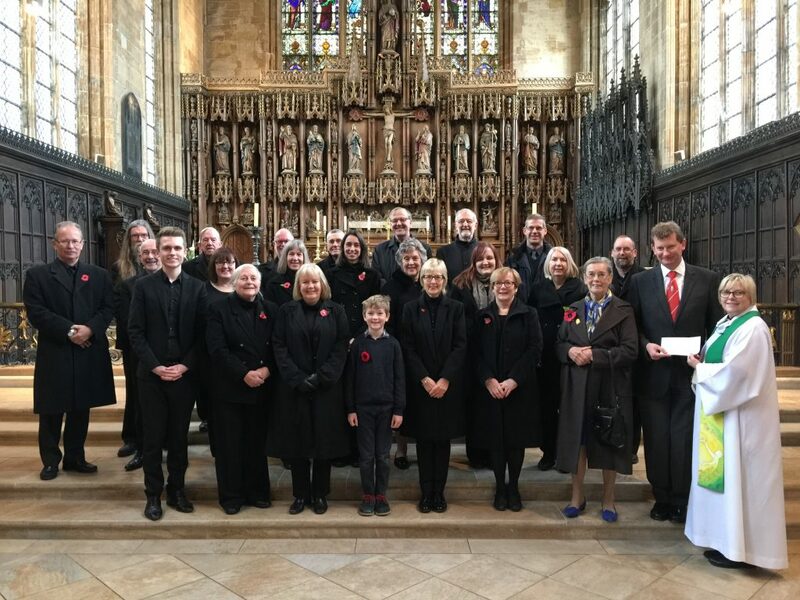 The Parish Choir regularly enhance church worship singing for the weekly choral services, feast days and solemnities. Comprising of four vocal parts; soprano, alto, tenor and bass, they sing a large variety of sacred repertoire of different styles and periods. Members also have the opportunity of singing in seasonal concerts, civic events and local broadcasts. The Parish Choir is always on the look-out for new members and the choir welcomes anybody who would like to join. Rehearsals run weekly on Wednesdays in term time from 7:30pm – 9:00pm and are open to all who would like to get involved. For more information please email music@parishofboston.co.uk or call 01205 310929. “I didn’t need T.V’s Gareth to tell me that singing is enjoyable and benefits body, mind and spirit. I have loved singing, especially in a choir, since primary school. 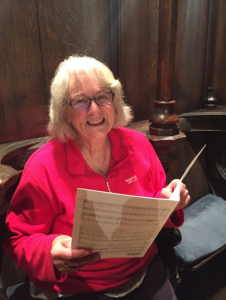 When George our Director of Music asked me if I’d like to come to choir, I was daunted by the high standards of singing I had heard at Sunday Services. I said I would try, and at first one evening practice plus a run through just before the service just didn’t seem enough. I was told I would get used to it and after a few weeks, I have – sort of! Now myself, and fellow new member, Lind, agree that we are enjoying the challenge of learning new music, at speed, but thoroughly. A special pleasure for me has been singing some pieces, and settings, which I have known and loved listening to over the years (particularly daily Evensongs at Salisbury Cathedral) and never thought I would sing them! If like Marilyn you would like to sing in friendly and encouraging environment, enhance St Botolph’s Sunday worship and learn new skills why not come along to a rehearsal?